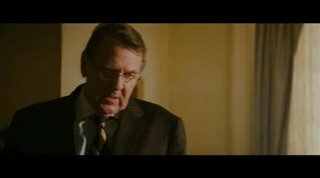 Britt Reid (Seth Rogen) is the son of LA's most prominent and respected media magnate and perfectly happy to maintain a directionless existence on the party sceneuntil his father (Tom Wilkinson) mysteriously dies, leaving Britt his vast media empire. 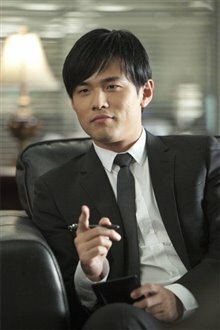 Striking an unlikely friendship with one of his father's more industrious and inventive employees, Kato (Jay Chou), they see their chance to do something meaningful for the first time in their lives: fight crime. To get close to the criminals, they come up with the perfect cover: they'll pose as criminals themselves. 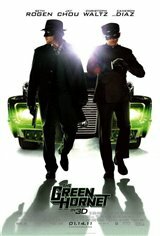 Protecting the law by breaking it, Britt becomes the vigilante The Green Hornet as he and Kato hit the streets. Using all his ingenuity and skill, Kato builds the ultimate in advanced retro weaponry, Black Beauty, an indestructible car equal parts firepower and horsepower. 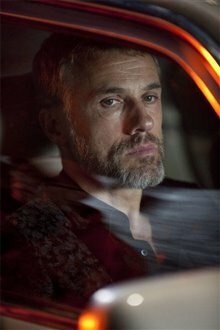 Rolling in a mobile fortress on wheels and striking the bad guys with Kato's clever gadgets, The Green Hornet and Kato quickly start making a name for themselves, and with the help of Britt's new secretary, Lenore Case (Cameron Diaz), they begin hunting down the man who controls LA's gritty underworld: Benjamin Chudnofsky (Christoph Waltz). 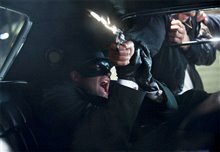 But Chudnofsky has plans of his own: to swat down The Green Hornet once and for all. "The greatest movie Cameron Diaz has ever made! Superlative action and a smart, witty, screenplay make this a must-see!" "I can't understand why the critics hated this. Great action and stunts, and Reynolds makes a great superhero!" "I thought Ryan Reynolds was great in this."